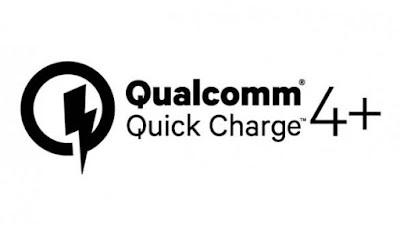 Just six months ago, Qualcomm introduced the fourth generation of its fast charging technology, Quick Charge 4.0. And now the Californian founder is already back to the load with an updated version labeled "4+". What are the features? Last November, Qualcomm introduced the new version of its fast charging technology called Quick Charge. This version numbered 4.0, is compatible with the Snapdragon 630, the Snapdragon 660 and the Snapdragon 835. It is used to shorten the charge time of a battery (up to 50% of the charge in 15 minutes). Today, Qualcomm is already presenting a first evolution, which is not "important enough" to justify switching to version 5.0, but which still provides some additional options for protection and use. It's called Quick Charge 4+. The first point of differentiation: performance. QC4 + offers better performance than QC4: 3 °C less at chassis level (more safety), 30% more efficient (less energy and heat losses) and 15% faster. In short, it is even better than before. Qualcomm has in fact installed new thermal sensors to measure the load not only on the shell but also on the USB connector. This makes it possible to modulate the load according to the risks of overheating. Another novelty of QC4 + is Dual Charge. This is the association of two coprocessors for managing the load. With this, Quick Charge 4+ is able to split the electrical current received by the USB connector in two, to distribute the load and therefore the heat emission that it entails, while reducing the charging time. This capacity to split the electric current is not fixed: it is modulated according to the needs. If a load path emits too much heat, QC4 + can dynamically reduce the current (or divert it to the parallel path) while waiting for a return to normal. Another interesting improvement: backward compatibility. Thanks to QC4 +, a user of a QC2 or QC3 compatible charger can benefit from it. This was not always the case, whether with Quick Charge or with alternative solutions, such as Turbo Charge of OnePlus. Quick Charge 4+ is compatible with the Snapdragon 835. And more precisely with all the smartphones under Snapdragon 835 that will have bothered to integrate two coprocessors of power management. 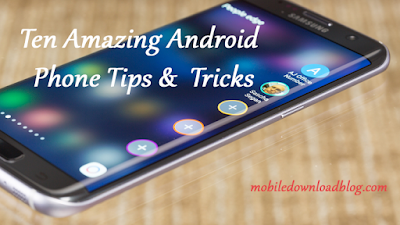 High-end mobiles like Xperia XZ, the Galaxy S8 (US version), the HTC U11 are already coming up with Snapdragon 835 and hence Quick Charge 4+ compatible.